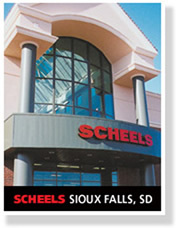 Located on 41st and Western Avenue, SCHEELS entered Sioux Falls in 1977 and expanded in 2002, providing 100,000 square feet of retail shopping. Sioux Falls' newest expansion, completed in May 2014, features a 200,000 square foot SCHEELS retail shopping experience. The store showcases South Dakotas largest selection of sports, sportswear, and footwear under one roof. 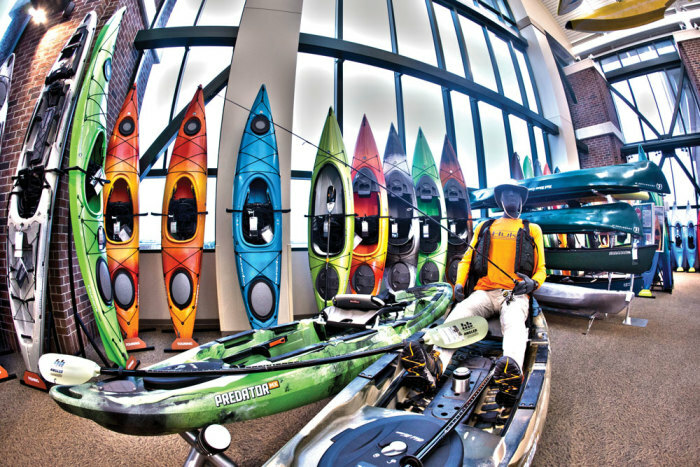 Unlike a typical sporting goods store or department store, the expanded Sioux Falls SCHEELS has a collection of entertainment venues, as well as women's, men's, youth, specialty, and sport and game shops. Brand-name concept shops by Nike, adidas, Under Armour, Columbia, and The North Face will keep you active in any season. Each shop is staffed with experts who are passionate about their sports. 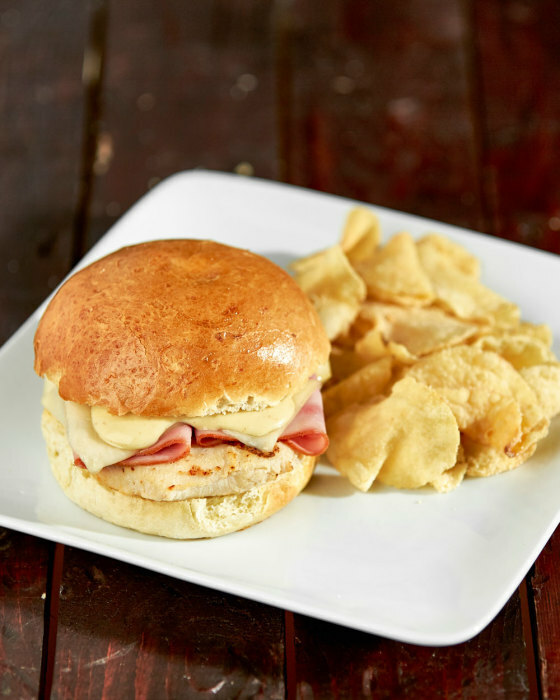 Special attractions include a 45 foot, 12 car operating Ferris Wheel, a shooting gallery, beautiful bronze statues, and simulators for everything from golf, to baseball, football, basketball, and hockey, where customers can test their skills. 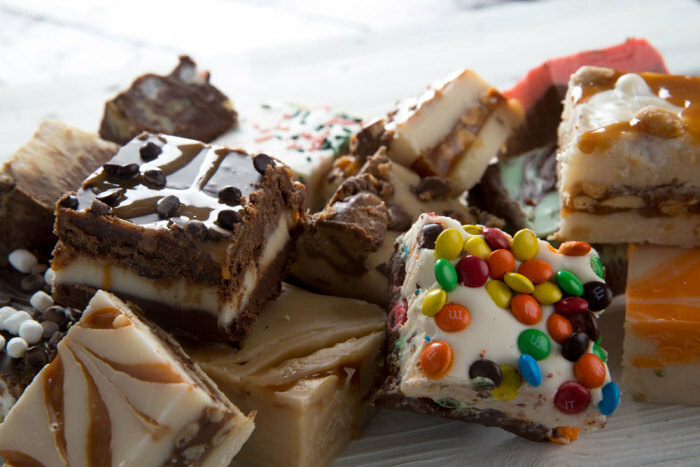 Gramma Ginna's, a deli and fudge shop, serves gourmet soups and sandwiches, Starbucks® coffee, and 24 flavors of homemade fudge. 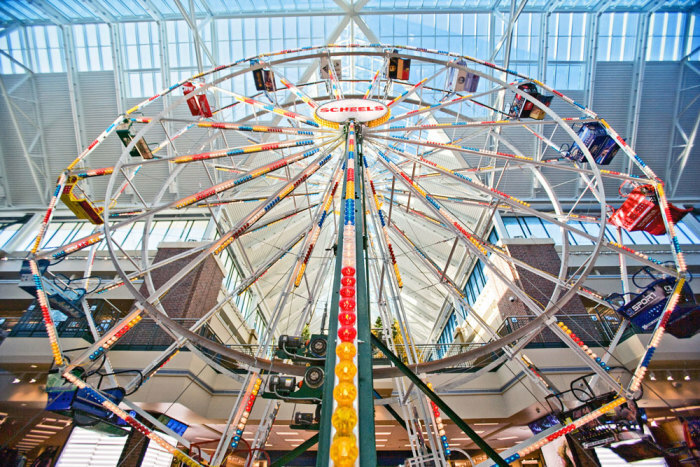 Mini Bowling, Buck Hunter Simulators and many more amenities make this shopping adventure unlike anything the Sioux Falls retail customer has ever experienced. 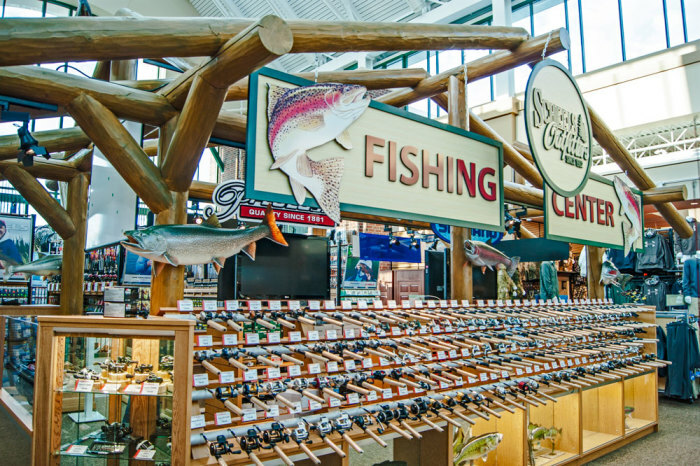 The SCHEELS in Sioux Falls features boutiques ranging from technical running gear and the latest fashion sportswear to spectacular hunting and fishing shops. The athletic shoe, hiking boot, and casual footwear selection is the largest in South Dakota with everything for toddlers to serious climbers. Selections range from beach sandals to fashion boots for women. 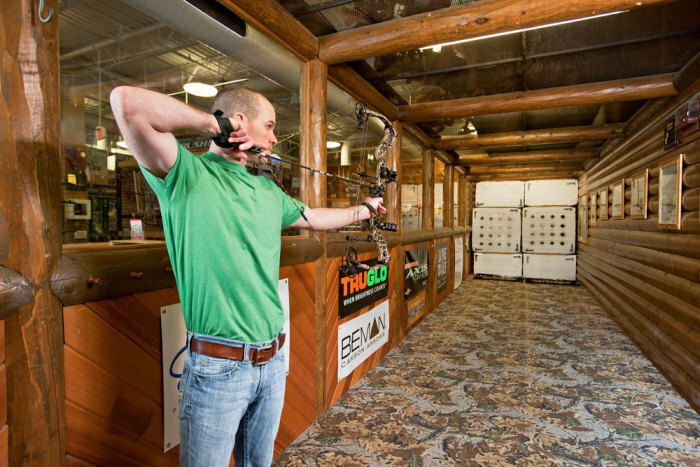 Outdoor enthusiasts can experience world-class shops including golf, bike, ski, whitewater, and sport and game shops. 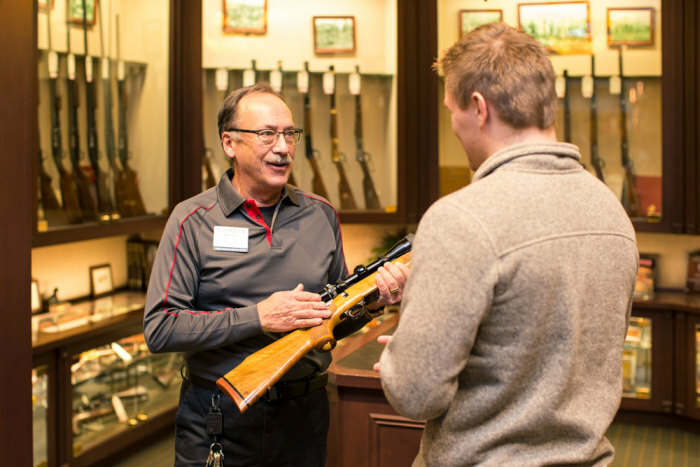 The gun and hunting shops have the largest retail selection of guns in the state of South Dakota, ranging from everyday shooters, to collectible guns. 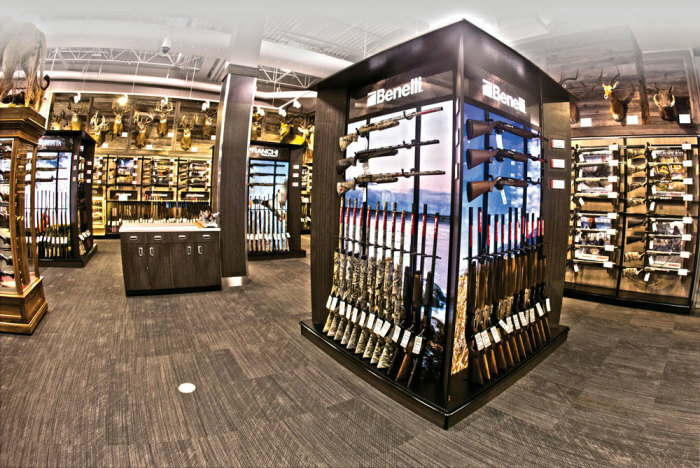 SCHEELS is a 25-store operation with stores in 10 states including North Dakota, Illinois, Iowa, Minnesota, South Dakota, Montana, Wisconsin, Nebraska, Nevada, and Utah. The store that opened in 2008 in the Reno/Sparks, Nevada market is the Worlds Largest All Sports Store. In 1902, Frederick A. Scheel founded SCHEELS as a general merchandise and hardware store in Sabin, Minnesota. Today, Steve D. Scheel, the great-grandson of SCHEELS' founder, is the company's Chairman of the Board, and great-great-grandson Steve M. Scheel is CEO. Bill Nelson serves as President and oversees SCHEELS daily operations of more than 6,000 associates.